2. 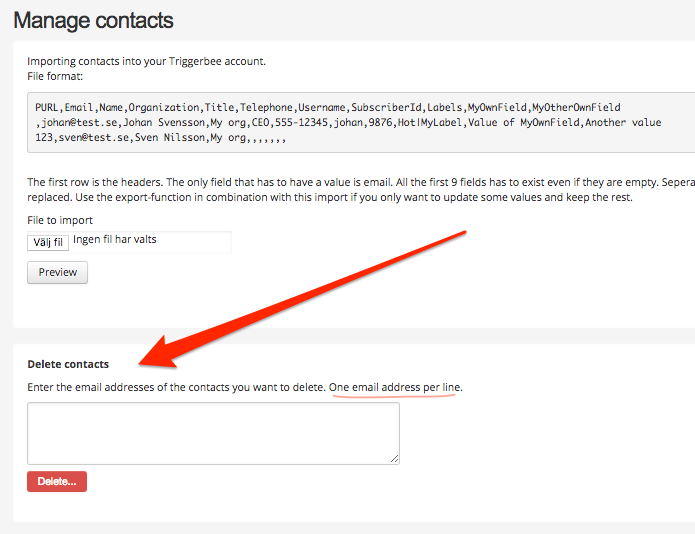 Enter the email adreses of the contacts you want to delete, note one address per line. 3. Delete - all data on these contacts will be deleted in the system.